Get a 10 year guarantee on your new gas boiler* Save on your gas bills by changing your gas boiler to an “A” Rated High Efficiency Condensing Gas Boiler. * Dependent on model of boiler, terms & conditions apply. Allgas are the leading experts in Dublin in installing new gas boilers and heating systems. We offer a free call out to quote for your new gas boiler. We inspect your old system first and advise. We give written comprehensive quotation. We chemically cleanse all systems with new boiler installations. We protect systems with corrosion inhibitors. We take away all rubbish on completion of the job. We have 5 qualified registered engineers for fast efficient back up. We can conveniently arrange to service your boiler on a yearly basis. We have been installing gas boilers for more than 30 years and are experts in doing so with minimum disruption to your home. We value you as the customer and pride ourselves on ensuring that all our customers are fully satisfied with our service. This is the Allgas guarantee. Allgas Heating, Bathrooms & Plumbing staff are highly trained in all aspects of system controls and gas boiler technology so we can advise you on the best solution for you and your home. Our staff will listen to your needs and requirements, technically survey your existing system, explain any technical issues and give you a written quotation with all your options. All our plumbers are fully RGII Registered Installers and work to the highest professional and technical standards. We are fully insured and meet all regulatory requirements. A RGII Declaration of Conformance is issued with every gas boiler installation. If you want a new gas boiler, an upgrade of your heating system or an energy efficient full heating system, we can offer many solutions. This includes SEAI grant upgrades for the installation of a gas boiler together with heating controls. If your boiler is broken beyond repair, we can install a new boiler without delay. Yes. Allgas are at least 20% cheaper than larger competitors. 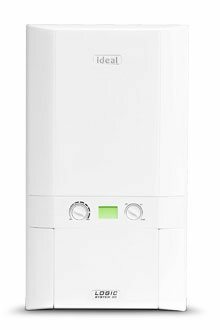 HOW MUCH WILL I SAVE ON HEATING BILLS BY REPLACING AN OLD BOILER WITH A NEW HIGH EFFICIENCY GAS BOILER? You can save up to 20% on heating bills by changing from your old boiler to a High Efficiency A rated gas boiler and up to 35% if you also upgrade heating controls. If your boiler is over 8 years old it would be a Standard Efficiency boiler with an efficiency of less than 75%. New High Efficiency A rated condensing gas boilers have a rating of over 90%. This is done by recycling the flue gases of the boiler to produce more heat. HOW LONG WILL IT TAKE AND WILL THERE BE A MESS? Allgas Heating, Bathrooms & Plumbing can upgrade your boiler to a high efficiency gas boiler in just one day, with no fuss or mess. We are always very conscious that we are working in your home. We will take away all rubbish including your old boiler on completion. The addition of heating control upgrade adds an extra two days to the job generally. We can upgrade your heating controls with minimum disruption and leave you with an energy efficient and comfortable home. Grants are available from the SEAI for the installation of a High Efficiency gas boiler together with Heating Controls under the Better Energy Homes Scheme. Allgas Heating, Bathrooms & Plumbing is a registered contractor under the Better Energy Homes Scheme. For full details see Grants and Tax Back. Grants for elderly people are also available from local councils for a full heating system where there is no heating system or for a boiler replacement where a boiler is beyond repair. For full details see Grants and Tax Back. CAN I GET TAX CREDIT UNDER THE HOME RENOVATION INCENTIVE SCHEME? If the cost of the work (or this work and other work on your home) is over €5,000 including vat you can get tax credit at a rate of 13.5% of the total cost (up to a maximum of €4,050 tax back). For full details see Grants and Tax Back. There are a number of different types of boiler ie system boilers, heat only boilers and combi boilers – all of which we can advise you on. Allgas Heating, Bathrooms and Plumbing is certified to install, service and repair all boilers currently on the market e.g. Ideal Logic, Ideal Vogue, Worchester Bosch, Gloworm and Vaillant boilers. DO YOU INSTALL OIL BOILERS? Yes we install oil boilers throughout the greater Dublin area. You can get a grant under the Better Energy Homes Scheme for the installation of an oil boiler and heating system controls upgrade. DO YOU INSTALL UNDERFLOOR HEATING? Yes. We install underfloor heating which works very well with high efficiency boilers and is very useful for heating difficult areas like conservatories. WHAT IS INVOLVED IN A BOILER AND HEATING CONTROLS UPGRADE? Heating Controls Upgrades are a really good idea as you will save money on your heating bills and get a grant under the Better Energy Homes Scheme towards the cost of doing so. You can get a grant just for the controls upgrade or for a boiler and controls upgrade. With these controls you match your heating and hot water schedules to your living patterns. Splitting your home into two independently controlled zones (space and water) allows you to heat your hot water without having your radiators heat. These controls, which are electronic, allow you to control the temperature as well as the time in each zone. Thermostatically Controlled Radiator Valves (TRVs) allow you to adjust the individual temperature in every room. Having a separate control for your hot water is particularly useful in summer months as using your gas boiler to heat your hot water is more economical than using your immersion. As your requirements differ from day to day a 7 day programmer will optimise savings allowing you to adjust to your individual living & working pattern. You can also save on heating bills by only having the part of the house you are using, or about to use, heated and by being able to have different temperatures in different parts of your house at different times. WHAT CONTROLS DO I HAVE TO PUT IN TO GET A GRANT? We would need to install controls to provide a minimum of two zones ie heating and water. These controls consist of a 7 day programmer, room thermostat and cylinder thermostat. A minimum of half of your radiators must be fitted with thermostatic radiator valves unless you are putting in a third zone e.g. splitting upstairs and downstairs radiators into two heating circuits. HOW MUCH WILL I SAVE ON MY HEATING BILLS WITH HEATINGS CONTROLS UPGRADE? You could expect to save up to 15% annually in heating bills by upgrading heating controls and up to 35% if you also install a high efficiency boiler. Quite simply our expertise, experience, professionalism and courtesy, the back up of almost 30 years experience and the Allgas guarantee.